Yesterday I defined “glycemic load” and explained the hormone imbalances associated with a high glycemic diet. Riding the glycemic roller coaster will put your health in a downward spiral. Simple sugars and refined carbohydrates not only elevate blood sugar levels above the desired range, they also elevate cortisol levels. That leads to a host of problems. One issue I didn’t mention yesterday is increased appetite. Elevated cortisol levels can increase your visceral fat storage in your abdomen and also heighten your appetite, thereby perpetuating the problem that leads to obesity. I hesitate to even use the word diet. This is not a fad diet. You shouldn’t view this as a temporary fix to your weight problem or any other problem. This very simple method of understanding nutrition will help you live a healthier lifestyle. By following a few basic guidelines, a low glycemic diet can help you lose the extra pounds and keep them off forever. It also will help stabilize your hormone levels and protect muscle development and sleep quality. Choose sprouted grains and whole grains. You’re probably familiar with whole grains. Demand has led more companies to produce whole grain options. But be wary of labels that advertise wheat flour. If it doesn’t say “whole”, it isn’t. Another marketing trick is to include whole wheat flour in the ingredients but still use a lot of white flour. Scan through all the ingredients before you choose a brand you can stick with. You may be less familiar with sprouted grains. But if you can find them, buy them. Research shows sprouting decreases gluten proteins substantially and potentially tripling soluble fiber. And since most allergies stem from gluten proteins, you’re much less at risk. Non-sprouted grains can cause an inflammatory response in the gut leading to excess cortisol release in the intestines, imbalanced intestinal flora, lowered immune protection, and metabolic reactivity to foods. Eat plenty of fiber-rich foods. Leafy greens, beans, and fruit deliver lots of nutrients and have low glycemic loads. Enjoy your fill in them. Avoid sugar. Eliminate pop and sugary beverages from your diet. And look at the sugar content on food labels. Many companies disguise sugar in various forms in their ingredients. Eat balanced. Include protein and healthy fats in your diet. 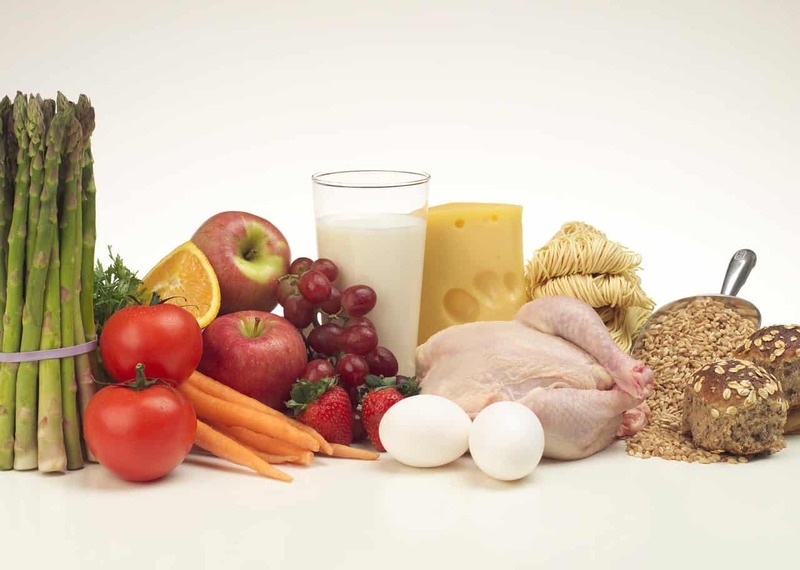 Good sources of protein include wild-caught fish, lean animal sources, organic Greek yogurt, eggs, quinoa, and nuts. Healthy fats include olive oil, coconut oil, avocado, seeds, and nut butters (with the nut, and maybe salt, as the only ingredients). Get rid of trans fat completely and limit saturated fat as much as possible. Simple right?! Or maybe you feel a bit overwhelmed. Either way, I’m going to help you make some changes over the next few days, so stay with me. I’ve had the joy of seeing so many of my clients make the switch to a low glycemic diet. They have fallen in love with the results. They have more energy, feel more alert, and like their food better too. And their weight stabilizes at a healthy point. This past year my two biggest weight-loss clients shed 120 pounds and 75 pounds. I now learn from them how to enjoy exquisite meals and snacks. And they know how much I love food.